Arizona House Democrats: Congratulations Rep. Fernandez! Congratulations Rep. Charlene Fernandez, D-Yuma (District 4)! 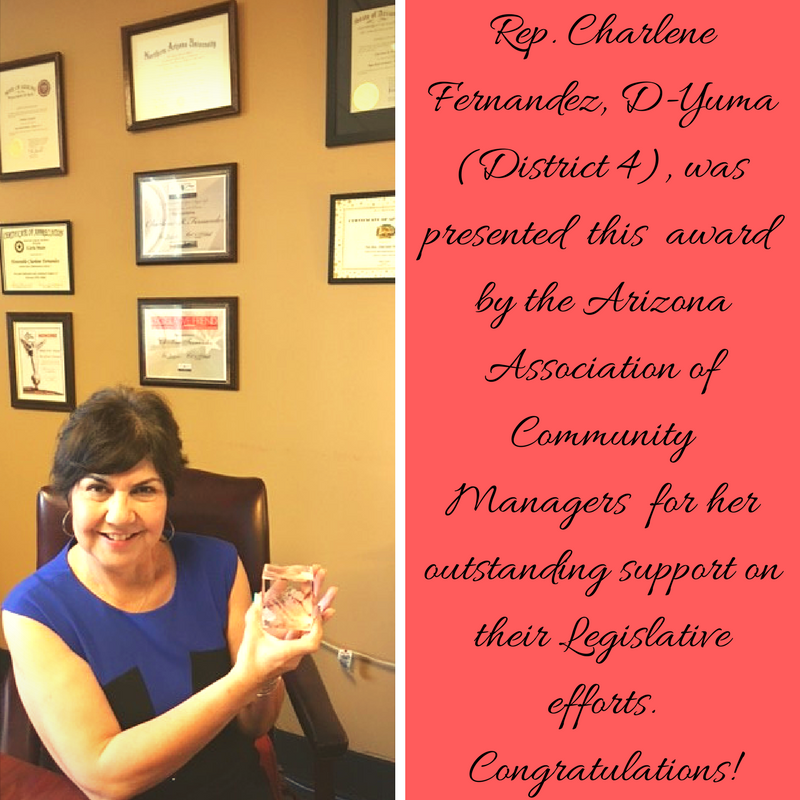 She received an award from Arizona Association of Community Managers due to her outstanding support of their legislative efforts.